So no one should interpret this year’s third-place Judicial Hellholes ranking for NYCAL to mean that anything has improved there since it was ranked #1 two years ago. To the contrary, things have only gotten worse. And were it not for monumentally egregious civil court imbalances in Missouri and California, NYCAL could well have earned another top ranking this year. 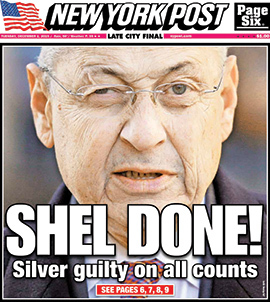 The state’s political establishment in Albany was shaken to its core in 2015 with the conviction on federal corruption charges of former Assembly Speaker Sheldon Silver. In addition to killing every reasonably crafted tort reform bill in the legislature for more than 20 years, Silver moonlighted for the asbestos lawsuit specialists at Weitz & Luxenberg. The charges against Silver partly related to millions of dollars in referral fees he earned for the firm by using public money to steer asbestos cases to it. As the Silver investigation unfolded, some changes occurred when the longtime manager of the NYCAL docket, Justice Sherry Klein Heitler, was replaced amidst reports that she gave “red-carpet treatment” to asbestos cases filed by Weitz & Luxenberg attorneys. For example, Justice Heitler granted their request to lift NYCAL’s longstanding ban on punitive damages in asbestos cases. She was replaced in March 2015 by Justice Peter Moulton. Initially there was hope among asbestos defendants that Justice Moulton would end, or at least reduce, NYCAL’s brazen favoring of the plaintiffs’ bar. Unfortunately, that hopeful innocence was quickly lost as Justice Moulton’s rulings proved to be even more anti-defendant then those of his predecessors. Furthermore, notoriously plaintiff-friendly Justice Martin Shulman is still presiding over NYCAL cases. Noteworthy is the fact that he is a former president of Sheldon Silver’s synagogue, and the two are neighbors. Justice Shulman presided over many of the tax-reduction claims brought by the Goldberg & Iryami law firm that, according to federal prosecutors, resulted in hundreds of thousands of dollars in “kickbacks” to Silver. Justice Shulman was never directly implicated in any wrongdoing, but neither has he shown since any inclination to give NYCAL defendants an even shake. Justice Moulton and his chambers have made it abundantly clear that NYCAL defendants can never obtain summary judgment. He has effectively lifted the plaintiffs’ initial burden of establishing their case and has instead imposed on defendants the virtually impossible-to-bear burden of proving a negative – namely that that their product was not present at a claimants’ worksite when alleged exposure to asbestos occurred. In doing so, Moulton has established a standard unique to NYCAL, where plaintiffs need only make blanket, vague allegations of exposure in order to defeat summary judgment. Not a single defendant implicated by a plaintiff’s exposure allegations has ever been granted summary judgment in Justice Moulton’s courtroom, and the resulting threat of jury trials increases pressure on defendants to settle beforehand. For example, Justice Moulton in March 2016 issued two troubling (and virtually identical) decisions against Utica Boilers, Inc. and Fulton Boiler Works, Inc. Mark Ricci, a mesothelioma claimant, alleged he was exposed to asbestos brought home on his father’s clothing. During a deposition, his father, Aldo Ricci, generally recalled observing contractors removing asbestos-containing insulation from the exterior of boilers when he worked as a draftsman engineer. On cross examination, Aldo did not remember observing anyone working on a Fulton or Utica boiler. When specifically asked whether he believed he came into contact with asbestos from a Fulton or Utica boiler, Aldo answered “No.” Nevertheless, Judge Moulton refused to dismiss the cases against those two companies. Although Justice Moulton cited and claimed to rely on a prior New York court decision that held speculation and conjecture cannot defeat a motion for summary judgment, both of the Ricci opinions effectively do the opposite. Because both companies manufactured asbestos-containing boilers, Moulton considered Aldo’s testimony regarding his lack of exposure to asbestos from the defendants’ products to be a credibility issue for a jury’s evaluation. The court simply assumed that someone working as a mechanical engineer for many years “might reasonably be expected to come in contact” with asbestos-containing boilers made by Fulton and Utica, among others. Most recently, in October 2016 Justice Moulton again denied summary judgment in DeMartino v. Aurora Pump. Co. Misstating one of the core concepts of a plaintiff’s burden in asbestos litigation, he proclaimed that “it is not plaintiff’s burden to make a prima facie showing that plaintiff was exposed to asbestos-containing products manufactured, sold, or specified by Aurora.” This short statement itself implies that merely suing a business not only permits a trial against that company, but also would allow a jury to find the company liable unless it can “prove the negative” by showing its product could not have contributed to the plaintiff’s injury. In the same case Justice Moulton ruled that an affidavit submitted by a witness designated as the company’s “person most knowledgeable” about the product at issue may not be creditable if that witness’s employment did not overlap with the plaintiff’s alleged asbestos exposure. 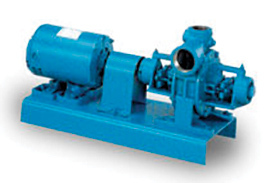 Since Justice Moulton refused to acknowledge the company’s witness with regard to product information pre-dating his employment, the defendant could not demonstrate that its pumps “could not have contributed” to plaintiff’s injuries. The additional irony, besides the blatant disregard of the facts and evidence, is Justice Moulton has denied numerous motions for summary judgment on the very basis that the defendant did not provide an affidavit from the company’s “person most knowledgeable.” Given the latency period involved in asbestos related injuries, Moulton’s court has for all intents and purposes disregarded New York law and shut down summary judgment as a remedy afforded to NYCAL asbestos defendants. A ruling by Justice Moulton in early 2016 opens the door to asbestos defendants getting sued a second time by the same plaintiff, even after entering a settlement that fully releases them from liability. In South v. Chevron Corp., Justice Moulton found that a settlement of a 1997 asbestos case brought by The Maritime Asbestosis Legal Clinic did not block a mesothelioma lawsuit later filed by the Motley Rice firm. In the signed release, the plaintiff “forever discharge[d] and release[d]” the defendant from “any and all actions . . . for the injuries, sickness and/or disease allegedly caused as a result of the exposure to asbestos.” The plaintiff admitted he understood that by entering into settlement, he was “giving up the right to bring an action . . . in the future for any new or different diagnosis” stemming from the long term effects of exposure to asbestos. Despite this clear and unequivocal language, Justice Moulton nevertheless allowed a subsequent suit to proceed, reasoning that the release did not specifically mention cancer or mesothelioma. He also reasoned that mariners are “almost ready to sign any instrument that may be proposed to them,” so apparently they cannot be expected to be bound to contacts they sign. This type of omnipotent, divine reasoning from the court erodes any confidence a defendant’s settlement is a full release from liability. Consolidation of cases for trial, even on a small scale, continues to “significantly improve[s] outcomes for plaintiffs.” But when New York’s highest court, the Court of Appeals, had an opportunity in 2016 to make NYCAL conform to the national trend in asbestos practice (and the practice in New York outside the asbestos context), it failed to show leadership. The court had accepted review of a decision by the First Department allowing virtually any NYCAL cases to be consolidated based on the most general similarities. And most disappointingly, the high court found in Konstantin v. Tishman Liquidating Corp. that the consolidation issue had not been preserved for appeal. As a result, NYCAL continues to consolidate cases, routinely denying defendants’ their right to due process. 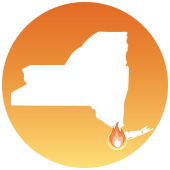 Unlike most other jurisdictions, businesses facing lawsuits in NYCAL face liability even when they did not make or sell the asbestos to which a plaintiff claims exposure. But in 2016 New York’s highest court issued another plaintiff-favoring opinion, perhaps the most permissive of any court on the subject. The court found that “the manufacturer of a product has a duty to warn of the danger arising from the known and reasonably foreseeable use of its product in combination with a third-party product which, as a matter of design, mechanics or economic necessity, is necessary to enable the manufacturer’s product to function as intended.” The court’s opinion will have a particular impact in NYCAL. Those who claim injury from exposure to asbestos have two routes to obtain recovery – traditional litigation against solvent companies and filing claims with trusts established by companies that filed for bankruptcy as a result of asbestos liability. Of course, plaintiffs’ lawyers pursue both avenues, but some hide evidence of the true sources of their clients’ exposure by waiting to file trust claims until after litigation concludes, keeping the beneficial information from defendants and manipulating the value of the civil court cases by only allowing a small portion of a plaintiffs’ total asbestos exposure to be shared with a jury. Recent data, including NYCAL data, make clear the need for greater transparency to address the disparities between the asbestos bankruptcy trust and civil personal injury systems that allows this gamesmanship to occur. As noted in past Judicial Hellholes reports, a North Carolina federal bankruptcy judge in In re Garlock Sealing Technologies, LLC found that a gasket and packing manufacturer’s settlements of mesothelioma claims in the tort system were “infected by the manipulation of exposure evidence by plaintiffs and their lawyers.” The bankruptcy judge noted a NYCAL case Garlock had settled for $250,000. 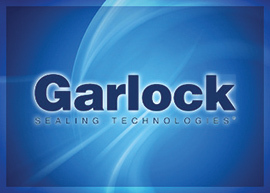 The plaintiff in that case had denied any exposure to insulation products, implying that only Garlock’s sealing gaskets could have been the source of his alleged exposure. But once the case settled, that plaintiff’s lawyers filed 23 claims with trusts (some associated with insulation products) on the plaintiff’s behalf, including 8 trust claims that were filed within 24 hours of completing the settlement with Garlock. A more recent analysis of the discovery data from Garlock’s bankruptcy case in relation to asbestos defendant Crane Co. showed “a similar pattern of systemic suppression of trust disclosures.” The study discussed a NYCAL case – the Gerald Moors case – as an example. Mr. Moors testified at his deposition that “he never worked with asbestos containing products from 11 now-bankrupt companies” including Owens Corning. At trial, Moors’ attorneys successfully moved to prevent defense counsel from mentioning Owens Corning’s asbestos insulation product just prior to opening statements, arguing that Moors never said he was exposed to the product. But Garlock discovery data showed that the asbestos specialists at the Belluck & Fox plaintiffs’ firm filed 26 trust claims on Mr. Moors’ behalf, “despite Moors’ sworn testimony that he did not work with the products from those (now bankrupt) companies,” including Owens Corning. The trust claims filed in the Moors case also reveal site exposure inconsistencies. In his tort case, Moors denied being exposed to asbestos at the Ravenswood Powerhouse. In trust filings, however, Belluck & Fox listed Ravenswood Powerhouse as a site where Moors was exposed to asbestos. 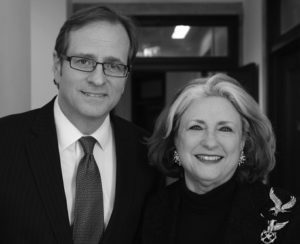 As one commentator has noted, “[o]pening the trusts to transparency would go a long way to ensure the funds are reserved for those who are legitimately injured as intended.” This should be done either through legislation or in NYCAL’s new Case Management Order (CMO), which Justice Moulton has been considering for nearly a year-and-a-half. If he were to require such transparency, he knows the plaintiffs’ bar would hold it against him. This narrow statutory exception, applicable only to truly “reckless” defendants, has been exploited by plaintiffs’ counsel with the blessing of NYCAL judges. It has effectively subverted the general rule of proportionate liability altogether. Plaintiffs’ lawyers routinely seek — and NYCAL judges dutifully issue — jury instructions to find recklessness in situations that fall far below the high bar set by the New York Court of Appeals. As a result, juries find the exception applicable in virtually every NYCAL case, even though that was clearly not the legislature’s intent. IS ANY EXPOSURE ENOUGH TO IMPOSE LIABILITY? In any lawsuit alleging an injury from exposure to a toxic substance, the level of exposure (actual dose) is a critical component of proving that a defendant’s conduct caused the plaintiff’s alleged harm. But NYCAL judges have inconsistently applied this principle in asbestos cases. For example, Justice Barbara Jaffe properly threw out a plaintiff’s verdict where an expert testified that cumulative exposure to asbestos, no matter how small and without any quantification, made a defendant’s products a substantial contributing factor to the plaintiff’s development of mesothelioma. That decision in Juni v. A.O. Smith Water Products Co. is now before the First Department appellate court. On the other hand, Justice Cynthia Kern in Hillyer v. A.O. Smith Water Products Co. allowed a plaintiff’s verdict to stand after an expert testified that any exposure to an asbestos-containing product made or sold by a defendant contributed to his cumulative risk of developing mesothelioma. An insight into the willingness of some NYCAL justices to aid and abet the plaintiffs’ bar in cowing defense counsel and their clients can be found in an episode revolving around the process-denying practice of consolidation discussed above. After the release of 2015 empirical study showing, among other things, that NYCAL’s “consolidated trial settings create administrative and jury biases that result in an artificially inflated frequency of plaintiff verdicts at abnormally large amounts,” Weitz & Luxenberg lawyers issued a subpoena to one of the study’s authors, demanding that he produce information on who funded the study, how it was conducted, early drafts, and any comments and criticism received. The subpoena was not related to an active case. And the NYCAL verdict data upon which the study was based are publicly available. So it appears the main intent of the subpoena was to harass the author and dissuade defendants from funding research that could help publicize the NYCAL injustices that work to make plaintiffs’ lawyers rich. More troubling is the fact that, prior to the subpoenaed deposition taking place, Weitz & Luxenberg lawyer Jerry Krystal leveled a blistering attack at the consolidation study, its authors and their methodology during an asbestos litigation conference. In attendance were many NYCAL justices and various counsel. Yet Justice Moulton in January 2016 denied the study author’s motion to quash the subpoena and thus injudiciously sanctioned such plaintiffs’ bar bullying. For nearly two decades, plaintiffs were not permitted to pursue punitive damages because judges had wisely recognized that depleting resources through jackpot awards hurts those who develop asbestos-related diseases in the future and that repeatedly punishing companies for the same conduct serves no purpose. But in April 2014 Justice Heitler lifted this longstanding ban at the request of the plaintiffs’ bar. An appellate court upheld Justice Heitler’s authority to modify NYCAL’s Case Management Order (CMO), which had precluded claims for punitive damages. But, the appeals court said, defendants were entitled to more notice and discovery if such claims were to be allowed. It remanded the matter to Heitler’s successor, Justice Moulton, to determine whether punitive damages claims should be allowed and, if so, what procedural protocols were necessary to ensure that defendants’ due process rights are protected. Justice Moulton has not yet finalized his much anticipated update of NYCAL’s CMO, nor has he otherwise issued a written decision reinstating punitive damages. In fact, he hasn’t even deigned, even informally, to explain why he believes punitive damages in today’s asbestos litigation are even justified. After all, such damages are intended to deter future conduct or punish moral turpitude or wanton dishonesty. And today’s asbestos defendants cannot be further “deterred” from conduct that occurred decades ago nor be justly “punished” for conduct that was then perfectly legal at the time. Nonetheless, Justice Moulton has made unequivocally clear that punitive damages will return to NYCAL, much to the delight of the plaintiffs’ lawyers who’ll have the chance to win even bigger verdicts and get richer still. Any illusions that asbestos defendants may have once had about Justice Moulton’s desire to balance NYCAL proceedings more fairly in the name of justice are gone. Everyone now understands that his new, if still pending CMO will, in addition to reinstating punitive damages, likely abridge asbestos defendants’ capacity to stave off the consolidation of their cases and continue to prevent a jury from being told the real story of plaintiffs’ complete, and at times extensive, alternative asbestos exposure, to the detriment of viable businesses pursued in the litigation today. 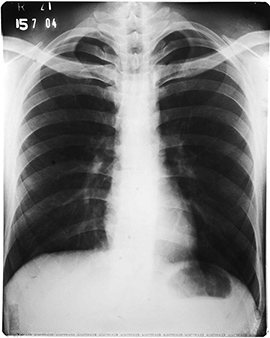 In one example, NYCAL has acknowledged that the eight so-called Malcolm factors or criteria should be considered in determining whether asbestos cases are sufficiently similar to be consolidated. Yet in a draft CMO circulated by Justice Moulton, he permits plaintiffs to pick and choose which two or three should apply when they seek the inherent advantage that consolidation gives them over defendants. The required meeting of all Malcolm factors is appropriate under the law, so how can a CMO that will let plaintiffs cherry-pick but a few of them be considered fair and impartial? The fact is that NYCAL continues to be anything but fair and impartial. Politically powerful plaintiffs’ lawyers will continue to exert their influence. 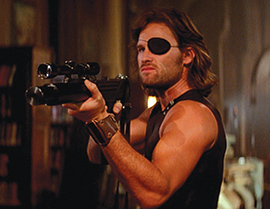 And if NYCAL justices remain completely unwilling to consider defendants’ legally sound motions for summary judgment, those defendants may be left with no choice but to hire Snake Plissken to mastermind an alternative Escape from New York (Embassy Pictures, 1981). Of course, Mr. Plissken would then almost certainly be subpoenaed and deposed.